Some of my favorite things to do are make super simple, super quick pieces of jewelry – for gifts, to match a certain outfit, or just plain because. What I’ve found is that these simple pieces are often the most versatile pieces of jewelry that I make. 10-20 minutes in the morning before work (or any other time) and you can have a quick necklace to wear with your new shirt, a new pair of earrings that won’t get caught in your winter scarf, or a festive charm bracelet that no one else has. The trick is to keep it simple, high visual impact, and take advantage of premade items, like chain. 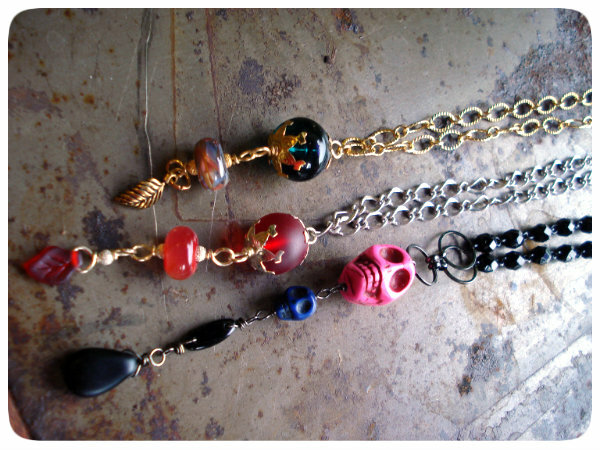 Take these necklaces for example – each one consists of a length of premade chain, a few beads and charms, and some findings and wire. 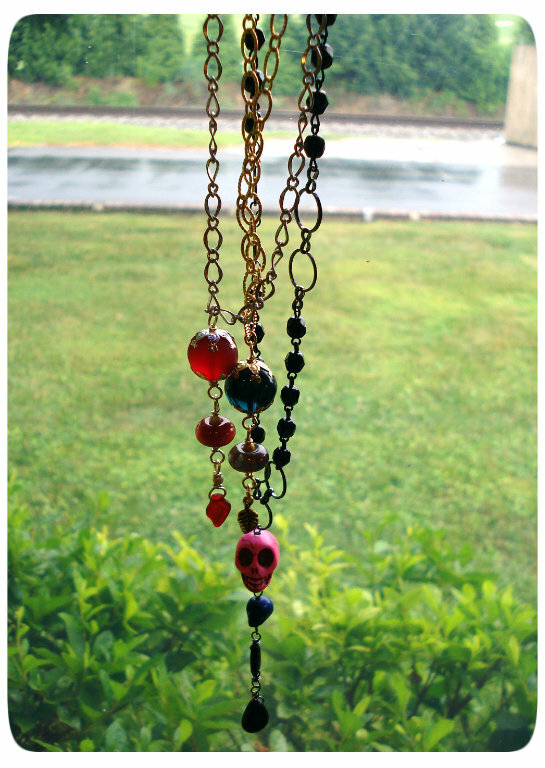 Even though they each use a very specific color in the beads, there is no reason you can’t wear them with any outfit! They are bold enough to wear with patterns and prints, great for special occasions, and great last second gifts. You can even make a dangly pendant that you can slip on to a ready-made chain – just be sure to keep the top loop large enough to slip over the clasp and you can interchange your new pendants each day!